“Chess requires cleverness, willingness, strength and toughness. 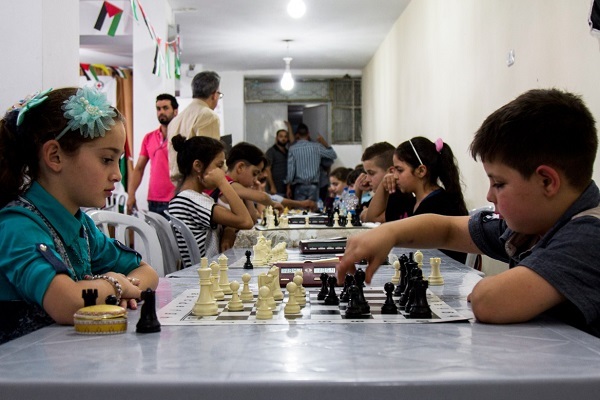 These psychological aspects help develop students’ personalities, because they’re still young”, said the youth chess trainer Diaa’ Ahmed Al Faqieh. 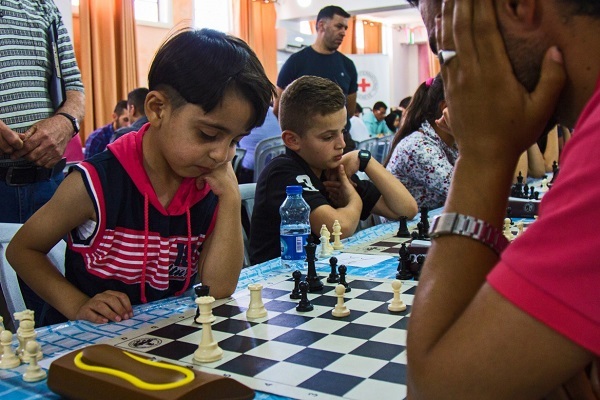 A recent chess tournament to encourage self expression and intellectual stimulation as alternatives to violence brought together 76 players, including many children and teenagers. 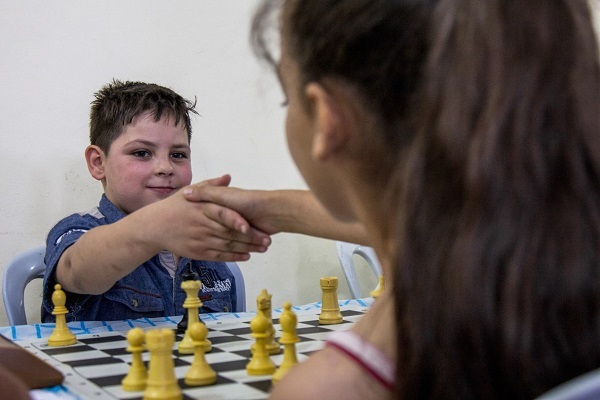 A recent chess tournament to encourage self-expression and intellectual stimulation as alternatives to violence brought together 76 players, including many children and teenagers. 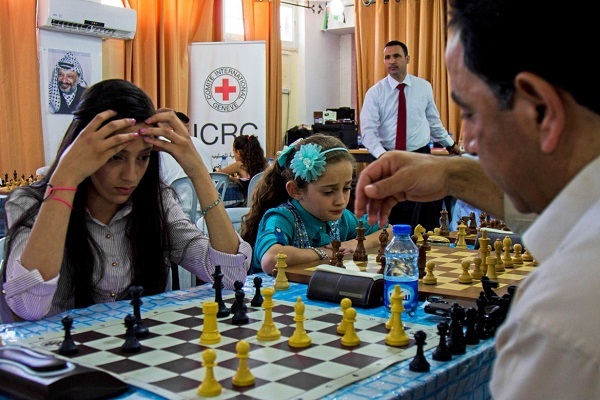 The tournament was part of a series of youth activities that the ICRC has launched in Jerusalem during 2016. 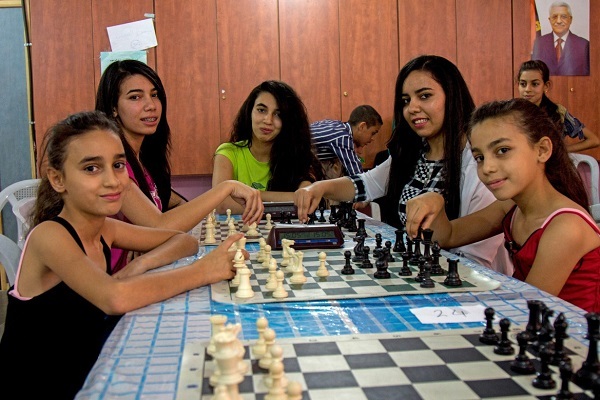 As well as providing alternatives to violence, our youth activities raise awareness of our work and of three of the fundamental principles that guide it – humanity, neutrality, and impartiality. “Chess requires cleverness, willingness, strength and toughness. These psychological aspects help develop students’ personalities, because they’re still young. 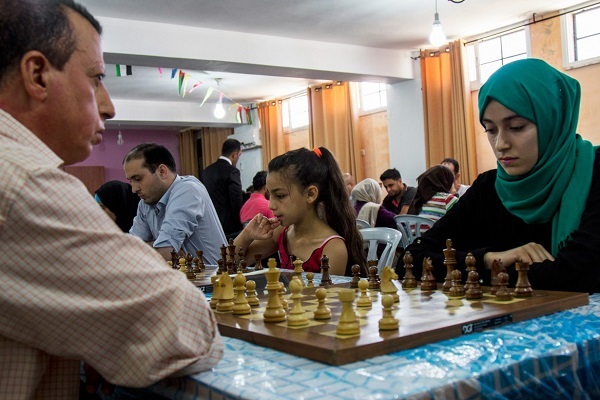 It helps them become leaders, take the right decisions, find ways to develop themselves, be more independent and take decisions under pressure,” said youth chess trainer Diaa’ Ahmed Al Faqieh. 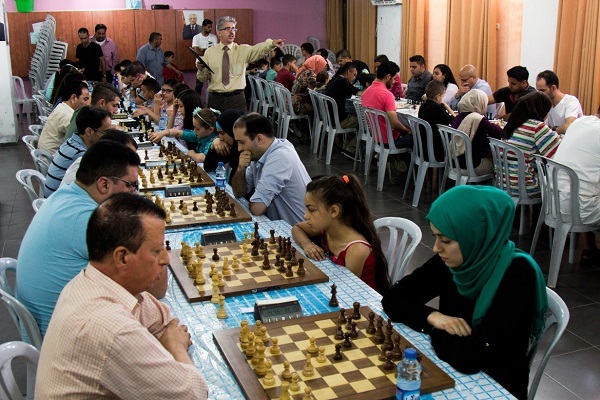 The tournament was organized by the Palestinian Chess Federation and the Qattana and Al Jib youth sports clubs. 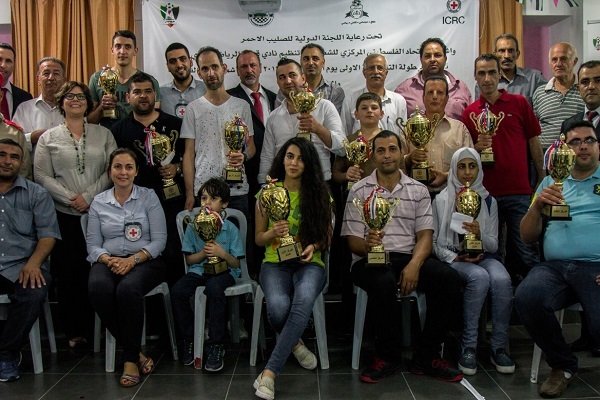 Entitled “Together for Humanity”, it was sponsored by the International Committee of the Red Cross. 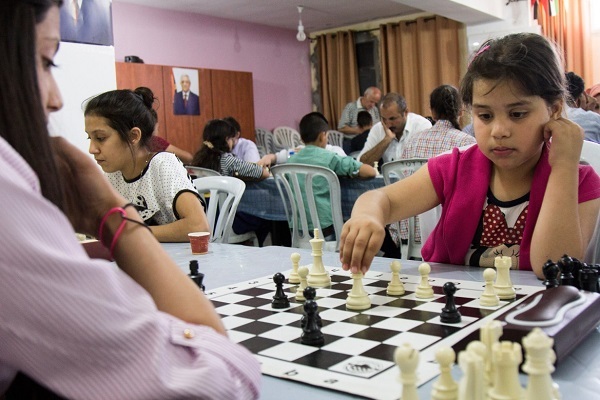 Other activities for young people have included a performance by the Palestinian Circus School in El-Hakawati theatre, which brought smiles to children’s faces in Jerusalem, where many of them are forced to grow up too fast. 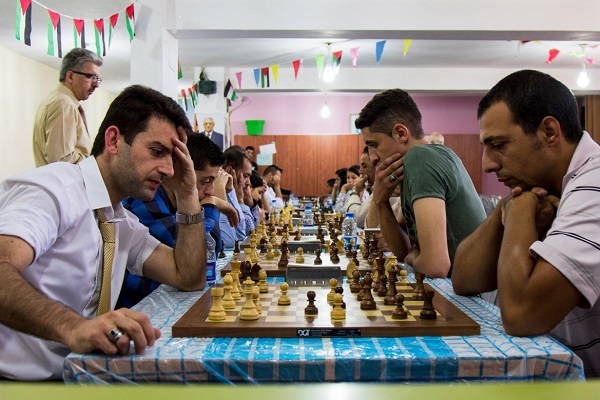 Seventy-six players aged from six to over sixty played nine rounds against each other. Thirteen champions emerged, with three of them under 15. 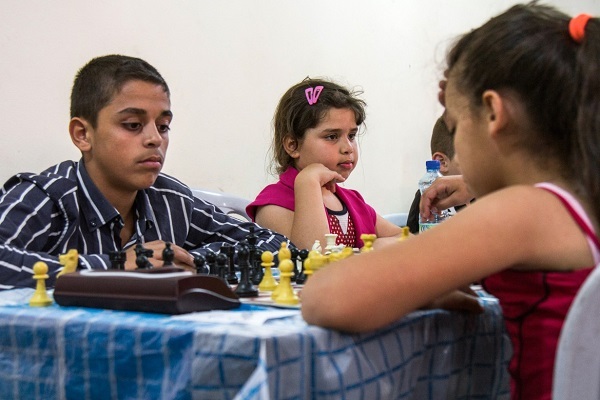 Chess requires strategic skills and a high level of focus and discipline. 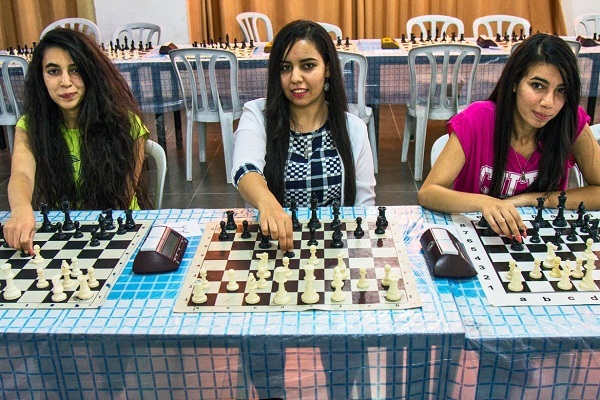 Yara Fakieh (17) comes from Qattana and is a member of the chess team that represents the Palestinians in international tilts. She participated in the world championships in Turkey in 2012 and Norway in 2014. “Norway 2014 was an interesting championship, with participants from all over the world. The players were well-prepared and they had trainers supporting them. One hundred and fifty countries took part, and we managed to move Palestine 10 positions up the world ranking. It was a very good result if you think about the limited resources we have,” said Yara. Champions and organizers pose for a group photo at the end of the tournament.